You can have just as much fun in small sailboats as you can in larger ones, and for a fraction of the cost. And it's definitely the way to get started in sailing, as a large, powerful sailboat in the hands of a novice sailor is very likely to result in alarm and disappointment for all involved. One undeniable fact about small sailing boats is that there are plenty to choose from. Cheap to buy, relatively easy to build from a boat building kit, and a capable of being transported on the roof-rack of a family car, they're very popular with kids and parents alike. 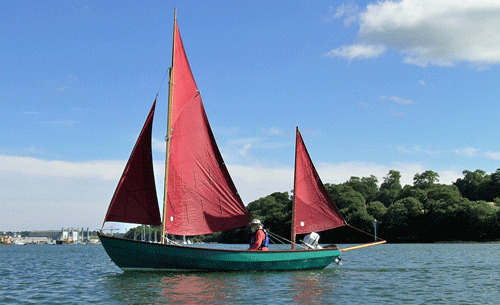 They're great favourites too with sailing schools; fleets of 'Optimist' dinghy sailboats ('Oppies) abound in European Sailing Clubs for young sailors, and in the UK many old seadogs learned their basic sailing skills in the classic gunter-rigged 'Mirror' dinghy, or a 'Wayfarer' cruising dinghy. One of my regrets is that I never learned to sail a dinghy sailboat as a youngster. My first boats were outboard-motor powered fishing boats; it was only in my late twenties that I realised the error of my ways and bought my first small cruising sailboat - an Etap 22 called 'Hobo'. Having read everything I could find about sailing small sailboats and successfully completed a series of correspondence courses in coastal, offshore and ocean navigation - I was working in the Libyan Desert at the time - I motored out of Poole Harbour on the south coast of England and with great trepidation put the sails up. There was a gust of wind and Hobo immediately fell over - I hadn't wound the bulb keel down; a mistake I never made again. My next boat was a 'proper' cruising boat, a Nicholson 32 - a heavy displacement cruiser which was eventually replaced by my current much lighter cruising sailboat 'Alacazam'. It was while building Alacazam that I re-discovered small sailboats, in the guise of a 16ft Falmouth Bassboat. 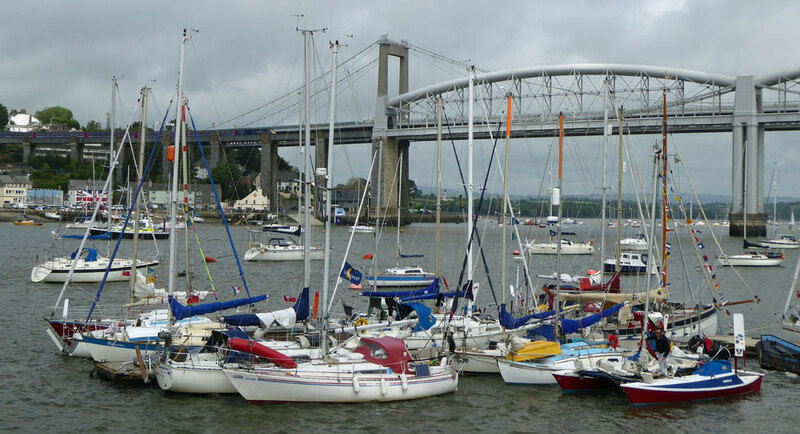 With my new partner Mary (now of some 23 years standing - a classic example of a one-night-stand that went seriously wrong) I sailed the gunter-rigged 'Marigold' in Devon's River Tamar and the inshore waters around Plymouth when we took time off from boat building. With Alacazam now based in the West Indies for winter sailing among the Caribbean Islands, Marigold has been replaced by another highly-regarded small open sailing boat - a Drascombe Lugger - 'Skylark' she's called. She's a gunter-rigged yawl, not a lugger at all - that's her in the picture above. Note her modified mainsail with the sprit, which holds out the leech of the boomless main and greatly improves windward performance. 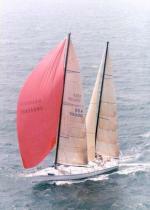 The mizzen adds nothing but drag when hard on the wind, which is why it remains furled on the mizzen mast in this pic. With her drop-keel and easily stepped rig, Skylark is a great trailerable-sailboat and with the addition of a cockpit tent is a good example of a weekender sailboat - although many would find the absence of a proper cabin, basic cooking facilities and a sea toilet rather limiting. Even multihull sailors are catered for in the small sailboat market, with the availability of folding trimarans that can be trailed astern of a family car - or preferably an SUV. Finally, if storage space really is in short supply, an inflatable sailboat will get you afloat - but don't expect sparkling performance from one of these, particularly to windward.